Talk about going green! 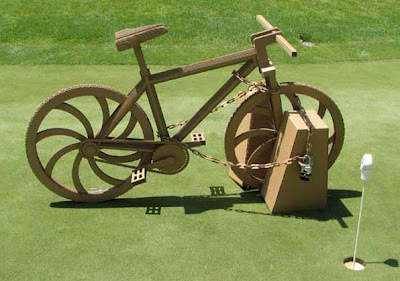 Ryan Perkins of Pacific SouthWest Container made this cardboard single speed from a PDF CAD drawing done on Bike Forest Pro. Excellent craftsmanship and attention to detail, I must say. Jk..See more pictures at the Bike Forest Blog.